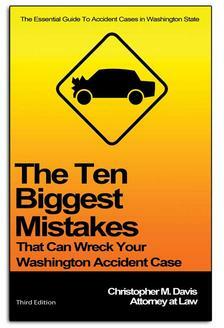 In 2011, there have been 128 car vs. animal collisions in Thurston and Pierce counties thus far. This time of year, many commuters see deer and other animals on the move much more. Many animals, unfortunately, make their way across the highways and roads, which is a huge hazard to drivers. Forty-four of the reported incidents with animals were on Interstate 5; 49 were on state routes; and 35 were on county roads. However, there may have been other animal-related car accidents; these are just the number of accidents that were reported. As we turned our clocks back this last weekend, it is dark during the morning and evening commutes for most drivers. This makes it that much more important for drivers to pay extra attention to driving to avoid accidents with crossing animals. The most active time for wildlife is in the early morning and evening hours; be most cautious during these times. DO NOT SWERVE to avoid an animal in the road. Swerving, gives you a greater chance of leaving the roadway and hitting another object or vehicle. 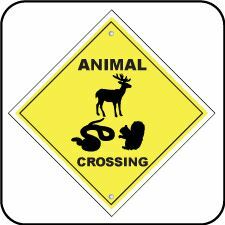 Look out for animal crossing signs. The signs are there because collisions have occurred at those locations in the past. Davis Law Group wishes everyone a happy and safe fall season!